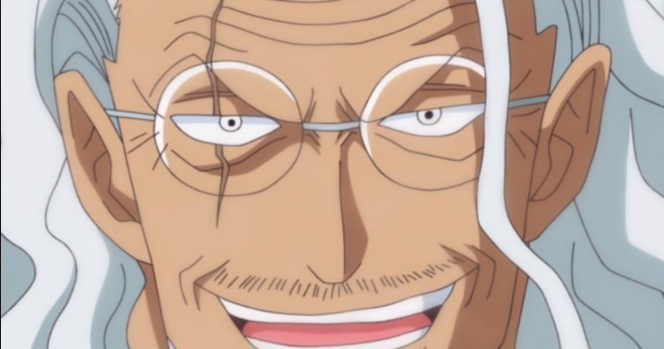 One Piece's Whole Cake Island arc nears its end, and the battle between Luffy and Katakuri comes to a close in the Mirror World, fans have been treated to many looks into Luffy's training with Rayleigh before the New World adventures started.With the latest episode of the series bringing the Luffy and Katakuri fight to a dramatic finish, the latest flashback to Rayleigh also proved one of the strongest look backs yet as it showed off just how skilled Rayleigh is. Before Luffy made the full transformation into his Gear Four Snakeman in Episode 870, fans were treated to a flashback of Rayleigh's training. It's here that Luffy showed off his Boundman ability. While Rayleigh had complimented the use of the Color of Arms Haki in which it gave Luffy a stronger defense, Rayleigh proved that it wasn't enough in the end. To train Luffy even further, Rayleigh flies toward Luffy and punches him in the gut. He instantly breaks through his Haki defense, and Luffy flies into a nearby mountain. Luffy's frustrated by this, and Rayleigh says there's no time for Luffy to cry out in pain and continues the assault. Rubbing more salt in the wound is that he easily dodges much of Luffy's attacks like the Kong Organ Gun. Later in the episode, fans are given a look at the current Rayleigh, who's enjoying a drink at Shakky's Rip-Off Bar. While Shakky herself is wondering how Luffy is doing, Rayleigh isn't worried at all. When he's pouring a drink, he sees an image of Luffy in his mind and tells Luffy to "rise above it." This is a pretty good indication of how much Rayleigh believes in Luffy after those two years of training.